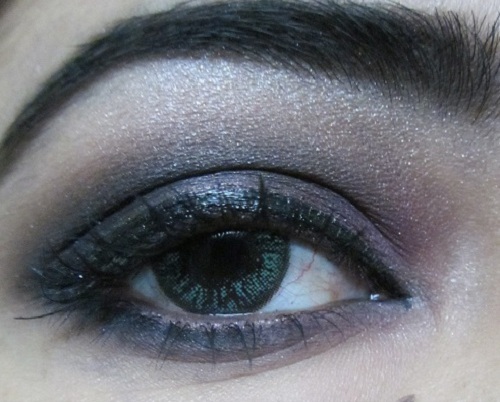 I have this eye makeup pictures for you which hope fully you will like. I did it long ago but could not post it then so sharing it now. You can understand.. blogging takes time..lol. and especially when you arepreparing for exams!! 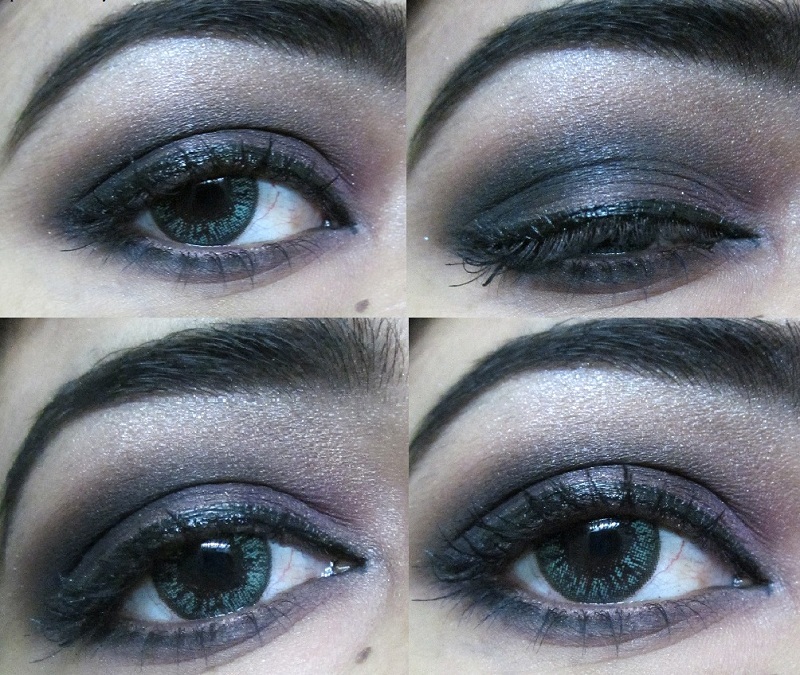 It’s called Smokey grey eye makeup. 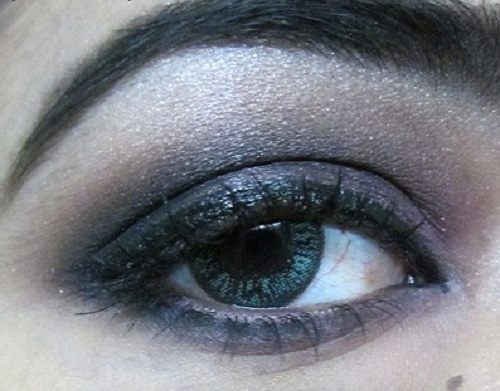 For this I have used the Faces smokey eye palette and Deborah Matte single eye shadow in Quartz as a base. I also added a light plummy color. For the eyeliner I have used Maybelline hyper glossy as the lid color was dark so I needed an eyeliner than can show through on the dark lids. This Maybelline hyper glossy eyeliner was dark and glossy shining so it was suitable and odes the job for me. Start with a medium toned matte brown eye shadow on the entire lid and the underneath the lower lash line. Put some plumy color on the area where you have put browns, then Take a deep grey color and apply it all over the lid and blend upwards gently. Take a matte black shadow and apply it on the outer V. Blend lightly. To finish the look more, apply a white shadow on the brow bone which is optional. Once we are done with the eye shadows. Apply your eyeliner and mascara. And thats it!! And sorry to those whose blogs I have not been able to visit due to the sickness. lovely step by step tutorial, Niesha. This is a classic look. Perfectly done .....Admire your eye-makeup !! Thank you Adi.. appie you liked dear. I saw you at IMBB you are gorgeously beautiful dear. Lovely look Niesha .. I love grey smokey eyes ..Hope you are doing better now .. Thank you Saumya. :) Even i love greys. Thank you Prayati. i added plum as grey and black was getting monotonous. Thanks for this tutorial. I recently bought Oriflame Beauty Colour Pro Eye Shadow Trio and I think I'm ready to use your teachings. I Heard about the pro trio from Oriflame, will try it soon. Wow! Simply! Thank you for sharing it! I've this product,Oriflame Beauty Colour Pro Eye Shadow Trio and I'm sure I'm gonna get your look with the help of this product. Thank you. glad you liked.